It seems everyone I know has done a juice cleanse and I hadn't. So after hearing the positive experiences from my friends, I was curious to give a 1 day juice cleanse a try. So when I was approached with an offer to try a 1 day LizzyJays Fresh Pressed Juice Detox Cleanse, I decided to give it a try. Here’s a list of the six juices I drank throughout the day as part of this 1 day cleanse. 1. Crisp Greens: Kale, Spinach, Romaine, Celery, Cucumber, Parsley, Lemon, Ginger, Apple, Pineapple. 2. Veggie Mix: Kale, Spinach, Romaine, Celery, Cucumber, Parsley, Beet, Carrot, Lemon, Ginger, Apple, Pineapple. 3. Another Crisp Greens: Kale, Spinach, Romaine, Celery, Cucumber, Parsley, Lemon, Ginger, Apple, Pineapple. 4. Carrot Twist: Carrot, Apple, Ginger. 5. Spicy Lemonade: Filtered Water, Lemon, Agave, Apple, Cayenne. 6. Smooth Cashew: Raw Cashews, Vanilla, Agave, Sea Salt, Cinnamon. Our Cleanse consists of six fresh pressed juices per day, a LJJ cooler bag, cleansing guide, and email support. Our knowledgable LizzyJays Support Team is here for you every step of the way to make sure that you have an amazing experience! LizzyJays 'Juice to Cleanse' can help alkalize your body, build up your immunity, reduce inflammation, and release toxins. Many clients have also reported clearer skin, better sleep, increased energy, and the ridding of excess weight after cleansing! 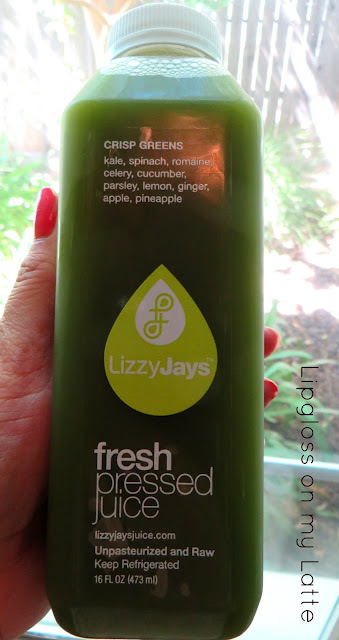 LizzyJays provides the highest quality fresh pressed juices delivered to your door just hours after they were pressed. Our juices are cold pressed and immediately bottled. We do not pasteurize, pressurize, or add preservatives to any of our products. It's great to start laying the ground work a few days before you start your cleanse. Eat very light (mostly vegetables, fruits, and lean proteins) two or three days prior. This will start the detox process and may enhance the benefits you see from your cleanse. I drank my first juice at the time I would normally have breakfast and then had all the other juices every 2 hours until they were gone. All the juices tasted fresh and light without being too sweet. The "Smooth Cashew" was my favorite and tasted amazing! It was creamy, and had a hint of cinnamon. I loved it, YUM! My morning went pretty well but by late afternoon I had a mean headache and it was clear that it was time for me to lay down and rest. 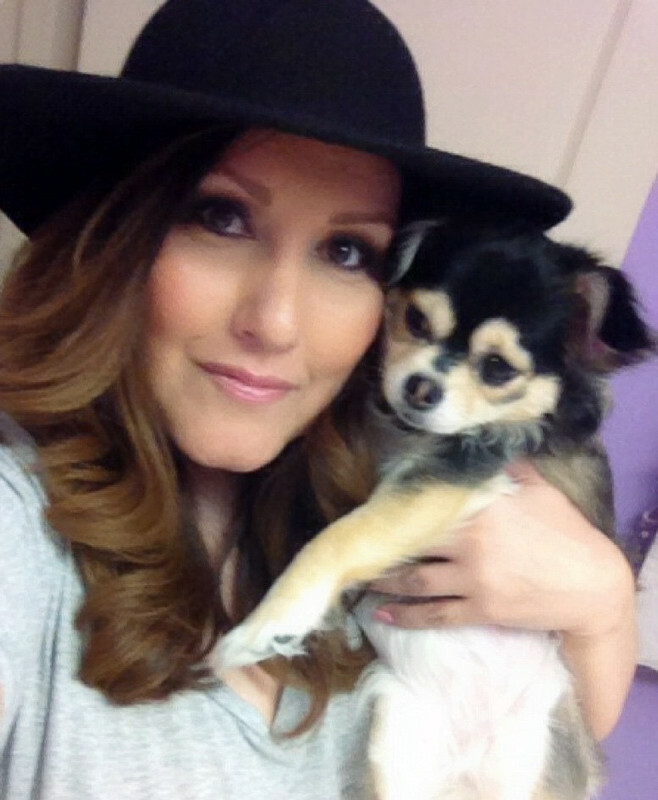 I slept well that night and the next morning, I woke up feeling refreshed! Juicing is not for everyone, especially those who have certain medical conditions. I learned that juicing for only 1 day makes you feel really good! I will definitely do this again. Next, I’d like to do a 3 day juice cleanse. Was this juice cleanse easy? No, but it wasn't quite as hard as I thought it would be. Thanks to LizzyJays Juice I learned that after just one day of doing a juice cleanse, it really is great for the mind, body and soul. 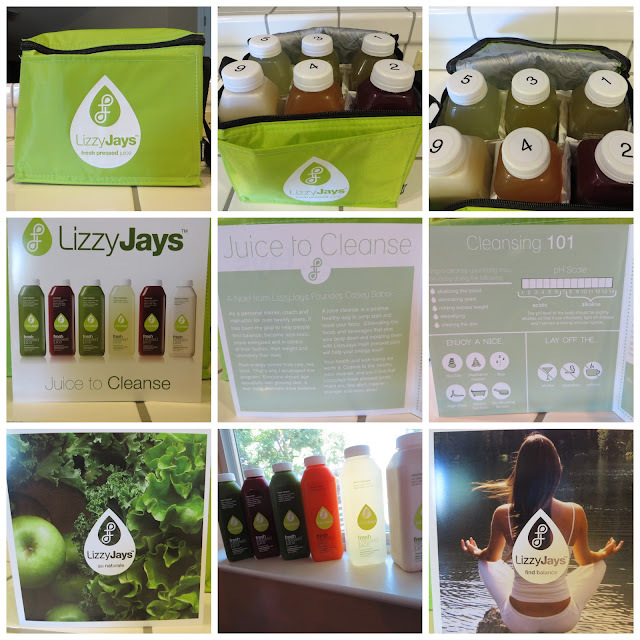 If you're interested in learning more about these cleansing juices, visit their website at www.lizzyjaysjuice.com. You can also visit their Facebook page @lizzyjaysjuicecleanse and their Twitter page @LizzyJaysJuice. 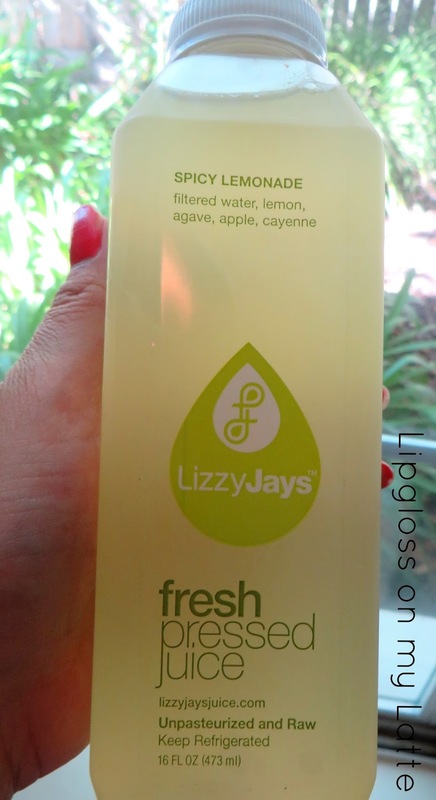 *I was sent a complimentary 1 day juice cleanse for review purposes from LizzyJays Juice. I was not compensated for the review and my opinions are 100% my own. This post is very interesting!I don't think I would be able to do that but is good to "clean" your body sometimes!